Ciara graduated from Queen’s University Belfast with a Bachelor degree of Music in July 2012. 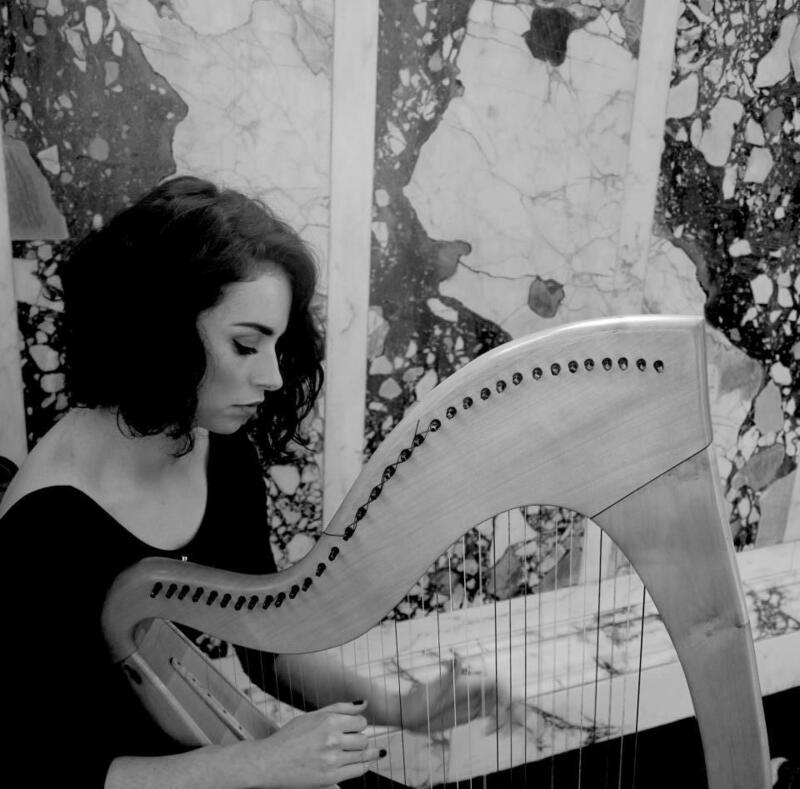 She has played the harp from the age of eleven and completed her music exams with the Royal Irish Academy of Music achieving Distinctions throughout. She received five Permanent TSB high achiever awards with the academy, one on the piano and four on the harp, for outstanding performance in her exams and as a result was chosen to play at two Permanent TSB high achiever award concerts. In 2009, Ciara obtained her Associate Teaching Diploma with the Royal Irish Academy of Music on the harp and has been teaching ever since. She was a member of the Meath Harp Ensemble since it’s formation in 2003 to 2012 and has played at many prestigious events and venues both with the Ensemble and as a soloist including Slane Castle, Dublin Castle, the National Concert Hall (Dublin), the Derbyshire Harp Festival and in Italy as part of the celebrations for the 150th anniversary of the unification of North and South Italy. Venues in Belfast include City Hall, the Ulster Hall, and the Black Box amongst others. As well as tutoring for the Ulster College of music Ciara holds other teaching positions, including taking harp master classes for the Andersonstown Traditional and Contemporary Music School and piano and theory classes in an Irish Medium primary school, Scoil an Droichid. In 2012 Ciara conducted the Scoil an Droichid choir at an event in St. Anne’s Cathedral, Belfast, in aid of Bernardo’s children’s charity. Previously, in addition to teaching the piano and harp privately, Ciara has done substitute teaching for the Meath Harp Academy and has taught in Eureka Secondary School, Kells and The O’ Carolan College, Nobber, teaching beginners right up to diploma level. She has also taught on behalf of the Arts Across Border project, which saw musicians from Northern Ireland and the Republic of Ireland come together to form an orchestra.